KayKiSpeaks.com: New Video: Drake- "Hotline Bling"
Today the rapper/singer released the visual for the record, and it is hilarious to say the least. Drake is that rapper who is very much so in touch with his emotions. He has never really cared what people have to say about his sentimental lyrics, or ability to burst out singing mid rap record. He's going to catch a lot of flack for his dancing in this video from the same crew of people who diss him for his r&b'ness, but we're sure he doesn't care about that either. The video is dope! It features a few curvaceous models, and Drake working the dance floor like we've never seen him do before. What I love about the video is Drake is dancing JUST like we all do in the privacy of our own homes or cars when "Hotline Bling" comes on. It's hilarious!! I'm not sure when this guy became so fine or whatever, but I like him. 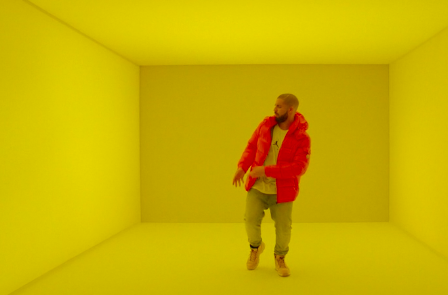 Check out the visual for everybody's jam.. "Hotline Bling" below! Get it Drizzy! Thank you for sharing this. Drake can do no wrong with me. LOL!